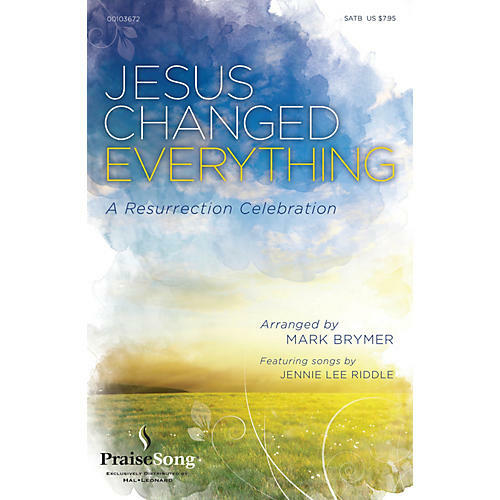 Based on songs written and/or co-written by award-winning songwriter Jennie Lee Riddle, this contemporary Easter work will point your choir and congregation to Jesus - the One who changed everything. Titles include: It Is Finished; Let All the People; Let Our Worship Rise; The Lord's Prayer; O the Deep, Deep Love of Jesus; Revelation Song; This Changes Everything; Water. Available separately: SATB, Preview CD, ChoirTrax CD, Rehearsal Trax CD, Rhythm Parts (CD-ROM), Preview Pak. Score and parts (fl, ob, cl, perc 1-2, hp, rhythm, vn 1-2, va, vc, db) available as a CD-ROM. Duration: ca. 35:00.